A large part of photography is all about using lighting and optics to achieve perfect images. This is why courses talk about lighting characteristics and its effects on images, how different colours interact with each other to produce different effects etc. These courses also talk about how artificial light and daylight can have dramatic differences in the final image, types of lenses and the characteristics of each type, dispersion factors on image quality, light absorption and how it impacts the final image etc., using wide angled lenses for your photography and lots more. There are certain materials, which are sensitive to light. Courses discuss topics related to emulsions, using film of colour negative types and achieving instant pictures through film etc. These courses also discuss the intricacies that go into black or white images and their construction. The information also touches upon a much-neglected area – that of checking the expiry of paper and film used for photographic purposes. Very often, photographers use filters to create different effects in photographs. There are courses available, which discuss the filters, which have neutral density, filters primarily used in black or white pictures, darkroom filters, skylight filters, polarizing filters, dichroic filters, colour printing filters and many other issues pertaining to this subject. In this topic, courses pertain to the various kinds of cameras available and how to use different controls to achieve different effects in the photographs, how to use medium and small format type cameras, performing selective focus, enhancing image sharpness, understanding properties of reflection, how to effectively combine shutter speed and aperture, understanding false light readings on the meter, knowing more about electronic cameras etc. 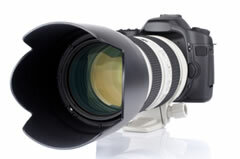 In essence, these listings of courses equip you on the technical aspects of photography. There are courses available, which discuss how you can use lighting, subject placement, lines and shapes, contrasting colours, supports, framing, fluorescent lights, asymmetrical balancing, camera angles and many other props to create stunning and dramatic effects in your photographs. Using rectilinear, height and atmospheric perspectives you can create some amazing photographs you never would have thought possible. This is an interesting aspect of photography, which many courses do not touch upon. We provide information about courses, which discuss aspects relevant to composition of portraits, camera height, using the right studio equipment, maintaining appropriate lighting distances, proper subject pose, using corrective techniques to rectify flaws in the image, achieving full-length pictures and portraits and many others. Through this information, you get details about side and rim lighting and how it affects photographic quality. A basic photography course is meant to provide a primer of sorts for an aspiring photographer. Using this information, you can embark on a successful career in photography.